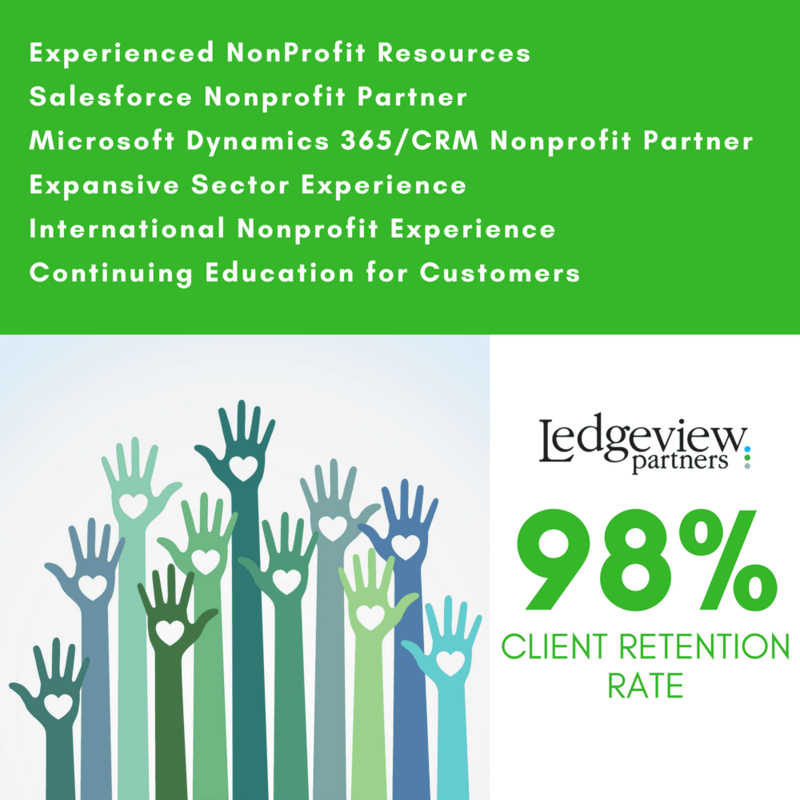 Ledgeview Partners is proud to work with a wide variety of nonprofit organizations to provide a set of need-based end-to-end solutions and to become more connected. 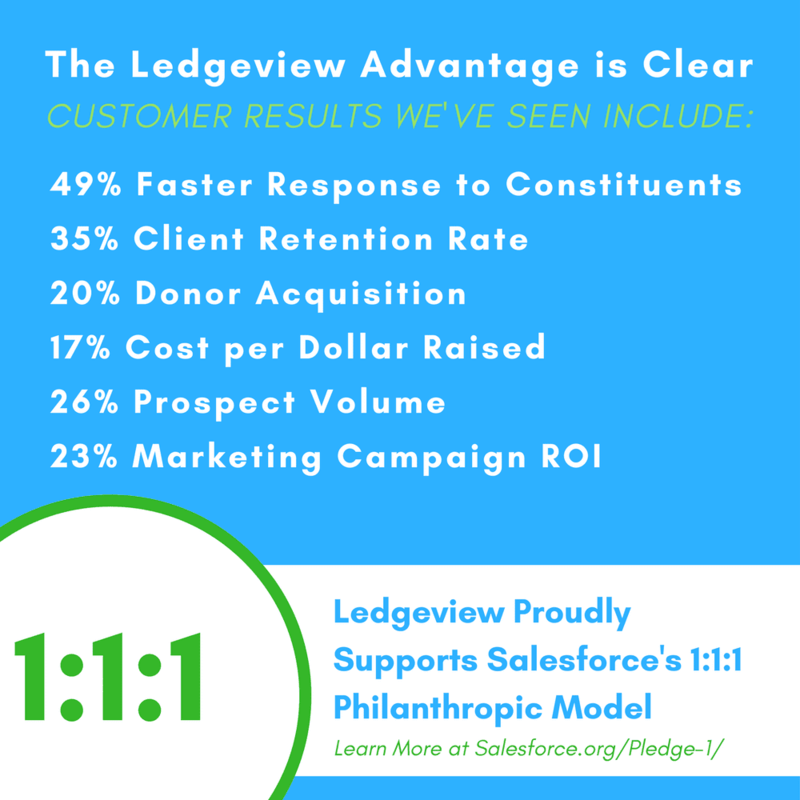 The nonprofit ecosystem is continuing to grow, and, although Ledgeview loves to see the great impact our nonprofit solutions have on communities, growth also means competition for volunteers, donors, members, and more. 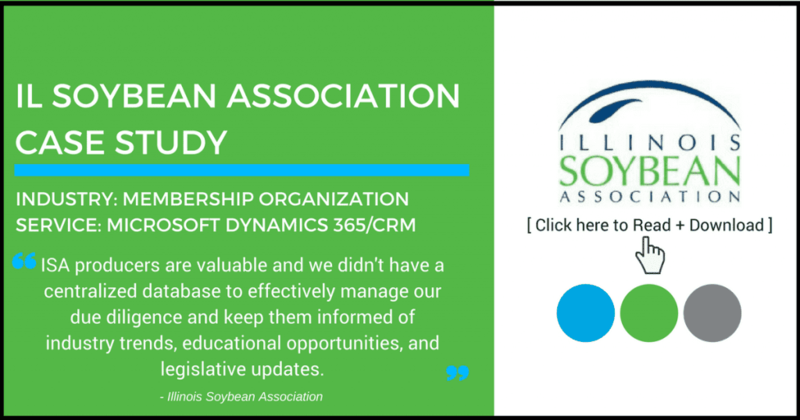 Built for the social and mobile era, Ledgeview knows a properly designed CRM Solution like Salesforce or Microsoft Dynamics connects nonprofits to their members, supporters, partners, employees, and programs. 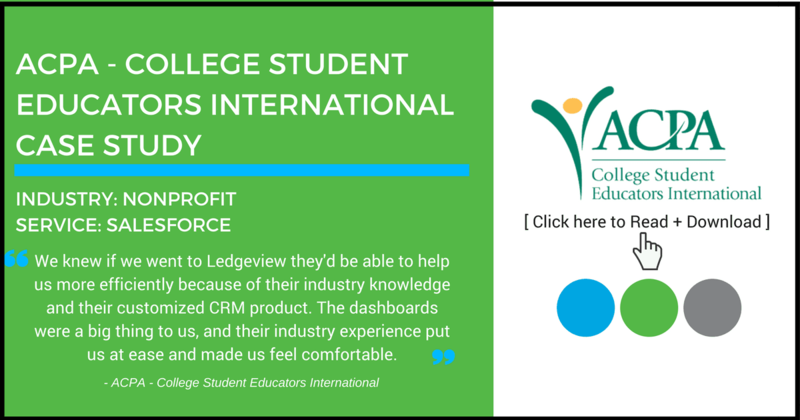 Ledgeview helps nonprofits deliver better programs and services, engage with and strengthen communities, communicate more effectively and raise awareness. 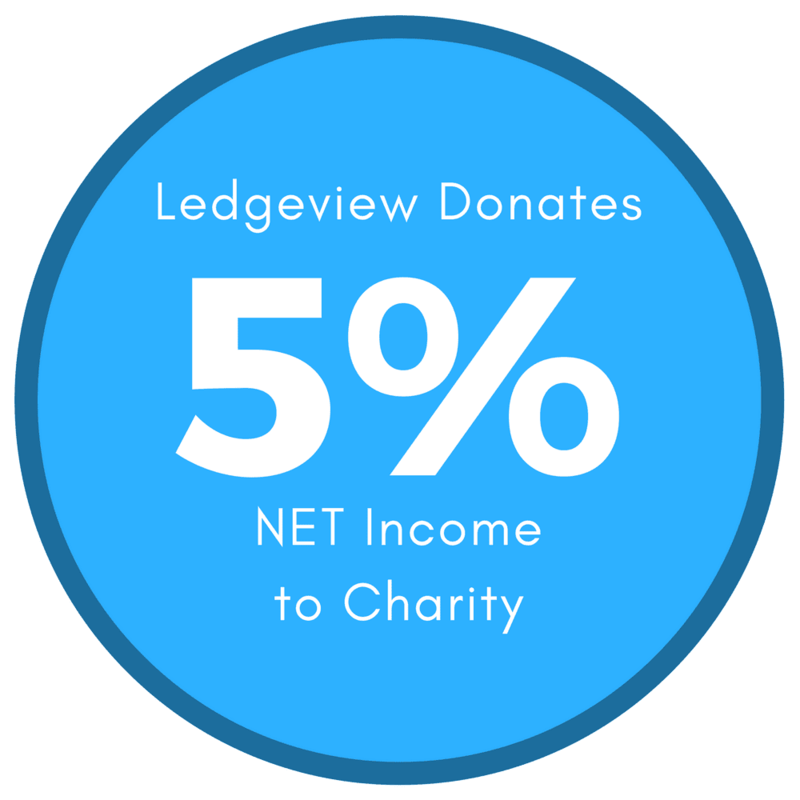 Ledgeview believes in giving back, and we love the work we do. More importantly, we love the work our nonprofit partners do, and we are there for you every step of the way. 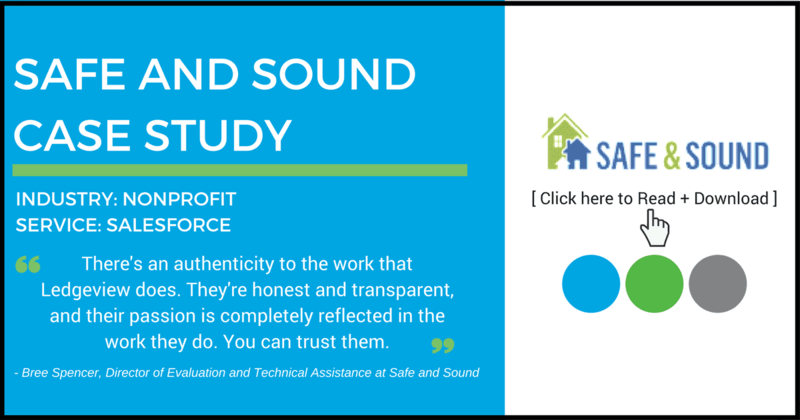 The Nonprofit Success Pack from Salesforce is an-easy-to-use fundraising and constituent management application on the Salesforce platform. A free, open-source product developed in partnership with the Salesforce.org community, Nonprofit Starter Pack is built specifically with the needs of nonprofits in mind. Whether your organization is all-volunteer, moderately staffed, or well-established and resourced, This solution will help you advance your mission — as it’s doing every day for tens of thousands of nonprofits. With the release of Non-Profit Starter Pack 3, Salesforce offers a series of managed packages for nonprofits that make it easier to manage the relationships of their donors. Ledgeview Partners specializes in assisting nonprofits with these upgrades. Over 28,000 nonprofits of all sizes use Salesforce. 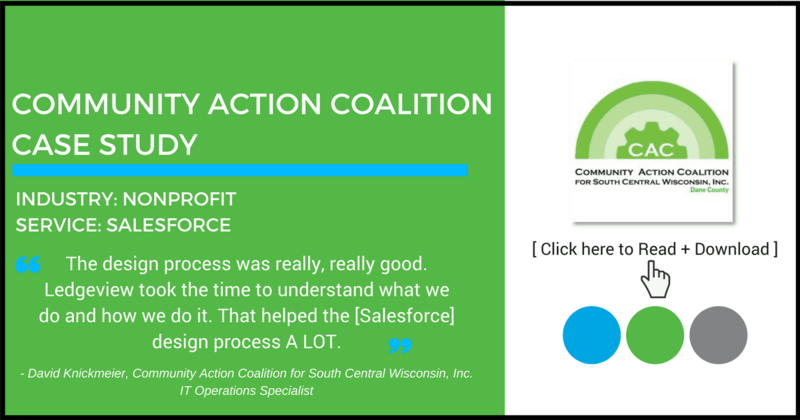 Watch this On-Demand webinar from Ledgeview Partners to see a solution built for the social and mobile era, Salesforce for nonprofits will connect your entire nonprofit – your partners, supporters, employees and programs so you can deliver better programs and services, engage and strengthen your community, communicate more effectively, and raise more resources. 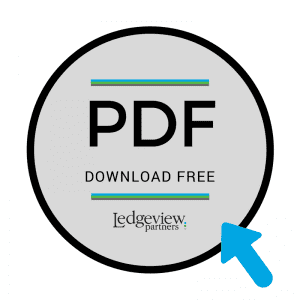 Ledgeview’s Nonprofit Benefits are Now Available in PDF Form!